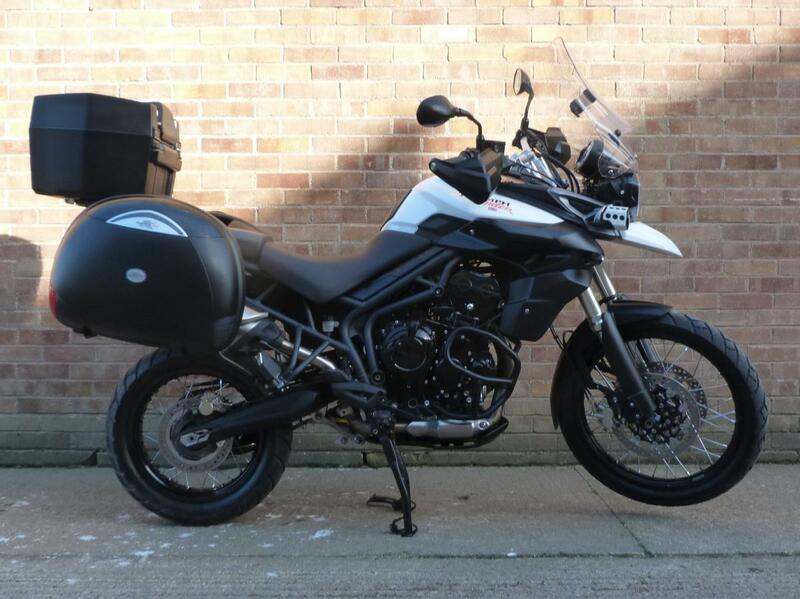 Here for sale is a 2014 14-plate Triumph Tiger XC 800cc model with spoked wheels and 19,792 miles on the clock. This Full Service History machine has been very well looked after and is loaded with extras ready to take on any challenge! It has a Genuine Triumph top box, Kappa 40 litre panniers, Rox handle bar risers (can be removed), engine bars, sump guard, spot lights, centre stand, heated grips, hand guards and a very recent set of tyres.